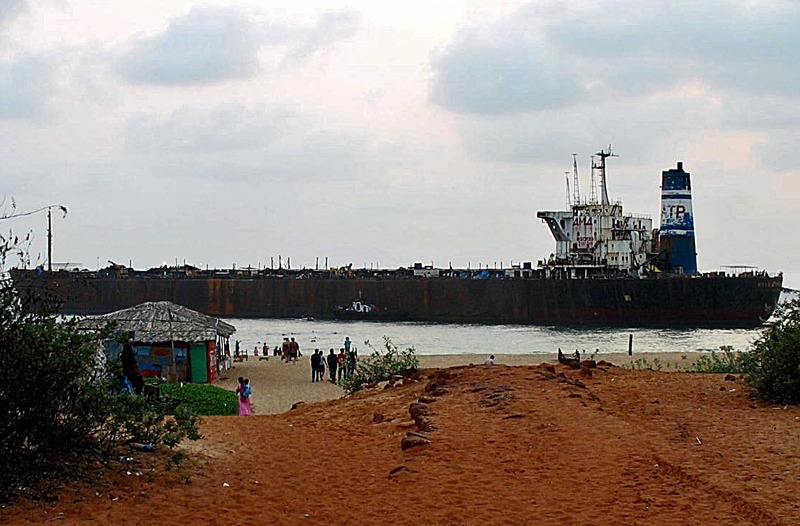 This is an abandoned ship in Goa. The view is from the lane which enters into the beach. 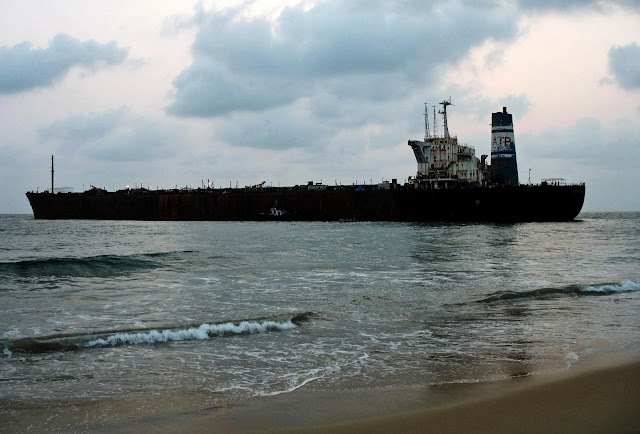 This is a view of the abandoned ship from the sea and the beach.